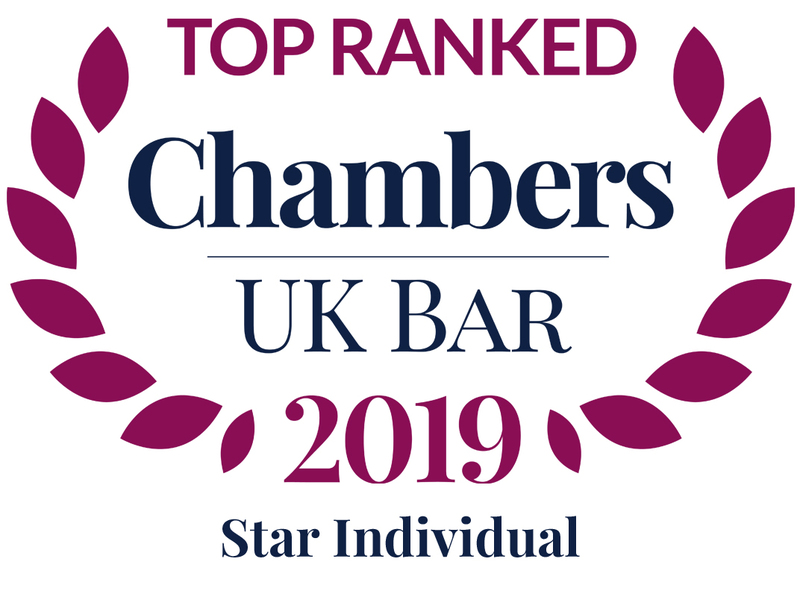 Marcus was ranked as the only Star Individual Personal Injury Junior Barrister in Chambers & Partners (London) in 2017, 2018 and 2019. He was named Personal Injury/Clinical Negligence Junior of the Year in Chambers & Partners UK Bar Awards 2016 and was nominated as the 2017 Legal 500 Personal Injury and Clinical Negligence Junior of the Year. Also, he is ranked a Band 1 Barrister in Motor Insurance Fraud in Chambers & Partners 2019, and also as a Tier 1 Personal Injury and a Tier 1 Insurance Fraud Leading Junior in the Legal 500 2019. His specialism is head injury, chronic pain and spinal litigation. He is noted for his leadership in exploring recent neurological and chronic pain developments in the Courts and is regarded for his insight into the nuances of the medicine and his tenacity in handling medical experts in his specialist areas. He balances his claimant practice with a committal practice for Insurance Companies. He is frequently instructed to take on cases where allegations of dishonesty are contemplated or have been made. In the late 1990’s he was at the forefront of developing the technical Consumer Credit Act arguments underpinning the Insurance Industry’s attack on credit hire agreements culminating in the House of Lords decision in Dimond v. Lovell and appeared in the cases of Burdis v. Livesey and Clark v. Ardington. He devised the Credit Hire Initiative that set the framework for testing the various arguments before the senior Courts. He negotiated on behalf of the entire motor insurance industry to settle large accruals of credit hire and credit repair debts between 1999 and 2001. He provided leadership from the junior Bar to tackle motor insurance fraud in a forensic and coordinated manner, applying scientific evidence to tackle low velocity impact claims, refining the use of similar fact evidence to tackle organised motor fraud and dusting down the Old Order 52 of the RSC (now CPR 81) to commit dishonest injury litigants to prison. He was involved in many of the leading committal cases between 2010 to 2018 including Barnes v. Seabrooke, South Wales Fire & Rescue v. Smith, Liverpool Victoria v. Bashir & Nield v. Loveday. He has tested the legitimacy of surveillance before the Courts, challenging the authenticity of the footage and the legitimacy of the techniques used to obtain it including the case of Samson v. Ali. He has worked hard to raise awareness of the concept of post traumatic fibromyalgia and to clarify how the medicine and the law work in tandem to establish or refute clinical causation in such cases appearing in the case of Maguire v. Carillion. He has litigated cases where the use of covert and overt recordings of expert appointments have proved to be critical to the outcome of cases. Many of his cases fight to trial. He is noted for his thoroughness and tenacity on medical issues and in his dealings with medical experts. He does not charge any success fees on post April 2013 cases. He works at a reduced rate on MIB claims under the Untraced Driver’s Agreement and CICA Claims. He takes on occasional Direct Access cases and occasional Pro Bono cases. He was Counsel in the case of Nield v. Loveday that won the award of ‘Outstanding Case of the Year’ at the Personal Injury Awards 2011. He was shortlisted as Barrister of the Year in the 2012 ‘Pro Claim’ Personal Injury Awards. He has presented six Seminars to his peers at the Personal Injury Bar Association including a lecture on brain injury at the 2010 Winter PIBA Conference, committal proceedings at the 2015 Spring PIBA Conference and on Section 69 of the Enterprise and Regulatory Reform Act 2013 at the Spring 2019 PIBA conference. He has presented four 2 hour live Webinars on chronic pain, spinal injuries, subtle brain injury litigation and fraudulent claims for Thompson Reuters. He was published in 2012 by the British Pain Society and spoke at the Society’s annual 2012 conference in Liverpool and at the Cambridge Medico-Legal Society’s 2012, 2015, 2016 and 2018 Conferences and at the Field Fisher 2016 Brain Injury Conference ‘Hidden in Plain Sight’ at City Hall. He spoke on Chronic Pain at the annual ABI Solutions Seminar in October 2018. He organised the 2015 TGC Fraud Conferences. He is a Member of the Ogden Working Party. He is a member of Lincoln’s Inn and teaches on the Inn’s Student Advocacy Training Programme. He is on the PI panel of the Bar Pro Bono Unit. He has mentored 10 pupils through Temple Garden Chambers. Away from the Bar his interests include his family adventures with teenage daughters, Andalucía, Headway, volunteering at the Glass Door Homeless Charity over the winter months, the Athenaeum, Rachmaninov, tennis and occasionally Liverpool FC. A pioneer in the areas of complex subtle brain injury and chronic pain syndrome. He has been at the cutting edge of fibromyalgia litigation for many years, and is a vigorous advocate for its recognition by courts and insurers. He is also instructed by insurers for committal proceedings for dishonest litigants. Recent work: Instructed in Brown v Gray, a brain injury case in which a 54 year old builder recovered over £1 million after sustaining a closed head injury in a fall. Leading junior for motor insurance fraud cases, particularly those that involve contempt of court. He is knowledgeable when it comes to fraud ring and fundamental dishonesty issues. Recent work: Acted in Liverpool Victoria v Yavuz et al, committal proceedings against nine individuals who brought injury claims arising from three alleged accidents. A pioneer in the areas of complex subtle brain injury and chronic pain syndrome. He has been at the cutting edge of fibromyalgia litigation for many years, and is a vigorous advocate for its recognition by courts and insurers. His tremendous medical knowledge and unwavering commitment are singled out by solicitors, while he is also instructed by insurers for committal proceedings for dishonest litigants. Leading junior for motor insurance fraud cases, particularly those that involve contempt of court. Recent work: Successfully proved contempt of court in a case where four individuals were accused of staging a ‘crash for cash’ incident in April 2011. “He is able to understand the injuries and the medicine to ensure that such cases do result in the right level of damages.” Recent work: Counsel for the claimant in Siegel v Pummell, where a head injury after a car accident resulted in an award of £1.59 million. “A barrister with no faults at all, and the hardest working member of the Bar”. “His cross-examination skills are a wonder to behold”. ‘Has been at the forefront of tackling fraud in the motor insurance industry and has involvement with a number of reported cases concerning contempt of Court. ‘Recognised as a standout junior for complex and catastrophic personal injury claims, he is lauded not only for his formidable expertise in the area but also for his ability to deal with clients. He also acts for defendants in claims with an element of fraud. Recent work: Acted in Clarke v Maltby, a claim concerning a subtle brain injury that involved complex expert evidence’. ‘courageous, determined, and excellent with clients’. ‘The “utterly brilliant” Marcus Grant’. £1.84 m settlement for a 45-year-old man who suffered a ceiling collapse on his head. Simon Browne QC and Marcus Grant represented the Claimant who was left with enduring neuro-psychiatric and vestibular symptoms. Dingemans J approved a £4.78m settlement for a 26-year-old motorcycle head injury crash victim who was left with enduring behavioural symptoms when he was aged 20. Marcus Grant represented the Claimant. Marcus Grant represented a 50-year-old sales manager who sustained thoracolumbar and wrist fractures and PTSD in a high energy head-on road accident, and compromised her claim for damages in the sum of £1m. Marcus Grant represented a 47-year-old senior manager who sustained a soft tissue neck injury when she was knocked from her bicycle by a van, compromised her claim for damages in the sum of £675,000. Marcus Grant represented a 44-year-old café proprietor who sustained a mild traumatic brain injury and developed chronic neuropathic pain and headaches in a high energy car accident, compromised his claim for damages in the sum of £250,000. Marcus Grant represented a 23-year-old retail worker who recovered £620,000 in respect of a leg injury in a cycling accident which befell him at the age of 18. He was left with enduring symptoms of pain and reduced stamina for prolonged weightbearing and loading that left the leg unsuited to his preferred trades of bricklaying or working in the motor trade. On his case he had suffered a significant reduction in earning capacity in being forced to look for less physically demanding work away from these trades. Marcus Grant represented a 35-year-old Trainee Paramedic who recovered £700,000 in respect of a bladder injury whilst attempting to assist in lifting a bariatric patient. On her case she sustained a low back strain requiring medication that then resulted in her suffering bladder distension leading to an acontractile bladder which caused her profound urinary complications, leading to an entrenched depressive disorder. She was unable to work, needed to self-catheterise for life and required a lot of care in her home life. Marcus Grant represented a 27-year-old dock worker who recovered £1.75m in respect of a brain injury in a high energy road accident. He was left with a disabling syndrome of physical (including vestibular), neuro-cognitive, neuro-behavioural and psychological symptoms that precluded him from being able to work, and in need of at least a light touch support regime involving a case manager and support worker. Marcus Grant represented a 31-year-old highway worker who recovered £643,000 in respect of a brachial plexus injury to his non-dominant arm sustained in a motorcycle accident where liability was contested. Marcus Grant represented a 61-year-old construction worker who recovered £495,000 in respect of a head injury in a workplace accident following which he developed epilepsy. He managed to continue working, albeit in difficulty and with a colleague covering for him for two years after the initial accident when he injured his head again whilst having a seizure. His employment was terminated 18 months after that second incident and he developed depressed mood following the loss of his job and financial security and suffered further seizures and some suicidal ideation. Marcus Grant appeared for the Claimant, a 34-year-old English teacher working in China who recovered £535,000 in respect of a head injury in the UK that left him with a syndrome of physical, neuro-cognitive, neuro-behavioural and psychological symptoms consistent on his case with diffuse axonal brain injury. Marcus Grant represented a 50-year-old factory worker who recovered £375,000 in respect of a head injury in a workplace accident when he stood up whilst standing on a table and struck his head on a metal hook attached to a crane overhead. Marcus Grant appeared for the Claimant, a 51-year-old unemployed lady who recovered £1.7m in respect of serious injuries to her right leg in a scooter accident. She underwent multiple operations on her leg, knee and ankle following which her mobility was severely restricted. Marcus Grant represented a 41-year-old nurse who recovered £672,000 in respect of a centrally sensitized chronic pain condition that developed following a low speed rear end shunting road accident causing soft tissue injury. Marcus Grant represented a 59-year-old self-employed taxi driver recovered £500,000 in respect of an ankle injury that progressed into CRPS following a tripping accident. Marcus Grant represented a 55-year-old benefits assistant who recovered £400,000 net of CRU and interims in respect of a centrally sensitized chronic pain condition (diagnosed as ‘fibromyalgia’) that developed following a rear end shunting road accident causing soft tissue injury. Marcus Grant, instructed by Christopher Dickinson of Dickinson Solicitors Limited appeared for a 35-year-old claimant teacher who brought a claim for damages for the consequences of a syndrome of enduring physical (including vestibular), neuro-cognitive, neuro-behavioural and psychological symptoms she claimed were caused by a rear-end shunting car accident that exposed her head to acceleration-deceleration forces. She claimed, through her experts, that this syndrome of enduring symptoms was likely attributable to diffuse axonal injury [“DAI”] to the connections and pathways of the white matter of her brain. Marcus Grant represented a 54-year-old ex-head teacher who settled his stress at work claim for a six-figure sum on the eve of trial, 6 years after his employment was terminated. Marcus Grant, instructed by Nick Godwin of Slater & Gordon Solicitors, appeared for a widow whose late husband was killed in a running down accident when he was struck by a car travelling at 86 mph in a 40 mph zone during the hours of darkness. Marcus Grant, instructed by Alexander Cohen of Brian Barr, appeared for a claimant who developed CRPS following a tripping accident in the course of her employment at premises occupied by a Third Party. Marcus Grant, instructed by Christopher Dickinson of Dickinson Solicitors Limited, appeared for the Appellant psychologist in appealing a decision of a Panel representing his regulatory body, the HCPC, in erasing him from the register. Marcus Grant, instructed by Phillip Cohen of Brian Barr Solicitors, represented a 41-year-old trainee doctor who sustained soft tissue whiplash injuries in a rear end shunting road accident, which on his case then progressed into a chronic widespread pain condition diagnosed by his experts as fibromyalgia. He was able to continue working, despite his symptoms, but was forced to reduce his hours, which put back the date of his qualification as a doctor. His claim was presented on the basis that he had lost the chance of a more lucrative career in medicine as a consequence of the condition, for which the prognosis of significant further recovery was poor. Marcus Grant, instructed by Phillip Cohen of Brian Barr Solicitors, represented a 36-year-old property developer who sustained a significant crush injury to his non-dominant hand when an anti roll bar on an excavator hired by his sub-contractor from a hire company rotated 180 degrees unexpectedly. The manufacturer had designed the roll bar to be held in place by a lynch pin held in place with an ‘R clip’. Marcus Grant, instructed by Chris Kardahji of Irwin Mitchell LLP, represented a 52-year-old pilot who sustained a whiplash associated disorder and psychological injuries in a head on car accident in which the other driver died. He was unable to work for 14 months after the accident and then returned to flying. Marcus Grant instructed by Tristan Hallam of Penningtons Manches LLP, represented a Police Officer who sustained soft tissue injuries that progressed into a chronic widespread pain condition (fibromyalgia) after the Defendant drove into head on collision with her parked Police BMW on a fast, unlit country road at night. Mr Justice Martin Spencer approves £1.35m lump sum settlement in a brain injury case. Instructed by Amina Ali of Barings Solicitors. Marcus Grant instructed by Amina Ali of Barings Solicitors, represented a 27 year old pedestrian who sustained a severe brain injury in a running down accident when he walked into the path of a car at night whilst intoxicated. 90 year old lady recovers £298,000 gross of contributory negligence for a shoulder injury in a running down accident. Marcus Grant, instructed by Amina Ali of Barings Solicitors represented the Claimant. 32 year old healthcare manager recovers £950,000 for the consequences of a mild traumatic brain injury following a moped accident. Marcus Grant, instructed by Julie Reynolds of Julie Reynolds Solicitors represented the Claimant. Dispensing Optician recovers £320,000 for a suspected mild Traumatic Brain Injury. Marcus Grant, instructed by Tom Ranson of Ashton’s Legal, represented the Claimant. PA and Personal Trainer recovers £1.5 m for severe post traumatic fibromyalgia/somatic symptom disorder. Marcus Grant, instructed by Alex Cohen of Brian Barr Solicitors, represented the Claimant. 28 year old Barrista Trainer recovered £2.2m after sustaining a multiple injuries in a car that overturned and struck a tree. Marcus Grant, instructed by Peregrine Redgrave of Stewarts LLP, represented the Claimant. 36 year old Police Sergeant recovered £1.65m after sustaining a brachial plexus injury when her hand became caught in the door handle of a car being driven by a thief who was attempting to evade arrest. Marcus Grant, instructed by Tracey Benson of Slater & Gordon, represented the Claimant. 54 year old builder recovered £1.16m gross of 10% contributory negligence, after sustaining a head injury when he stumbled and fell on a defective brick on a set of steps leading to his rental property. Marcus Grant, instructed by Christopher Dickinson of Dickinson Solicitors represented the Claimant. 38 year old former Police Officer recovered £492,000 for the consequences of an ankle injury and PTSD in a workplace accident. Marcus Grant (instructed by Phillip Cohen of Brain Barr Solicitors) appeared for the Claimant. 46 year old middle manager recovered £579,000 for the consequences of a diffuse axonal brain injury and vestibular damage sustained in a workplace accident. Marcus Grant (instructed by Mark Ellis of CFG Law) appeared for the Claimant. 43-year-old Warehouse Worker recovered £539,000 for post traumatic fibromyalgia following a workplace accident – Marcus Grant instructed by Steven Akerman of Brian Barr Solicitors represented the Claimant. Widow recovers £150,000 from a landowner in respect of the death of her husband killed by a falling branch from one of his trees. Marcus Grant instructed by Nick Godwin of Slater & Gordon, represented a 68-year-old widow whose 64 year old husband died when a branch from an oak tree struck his passing car on an A road in Berkshire. Liability was disputed. HHJ Wood QC permits committal proceedings for contempt of Court to proceed against 9 injury claimants. Marcus Grant instructed by Marsha Crossland of DWF LLP, represented Liverpool Victoria Insurance who applied to commit to prison for contempt off Court nine members of the Turkish community in North London who brought injury claims arising from three alleged accidents. HHJ Main QC accepted evidence of a scientific link between trauma and fibromyalgia. Marcus Grant instructed by Lindsay Ryan of Brian Barr Solicitors, represented a 54 year old civil servant who was involved in a lift accident. Marcus Grant, instructed by Alexander Wormald of Clarkson, Wright & Jakes, represented a 17 year old pillion passenger on a motorcycle who sustained a severe brain injury in a road accident with an uninsured driver. 44 year old IT Project Manager recovered £700,000 for the consequences of developing fibromyalgia after a road accident. Marcus Grant (instructed by Alex Cohen of Brian Barr Solicitors) appeared for the Claimant. 34 year old Police Officer recovered £600,000 net of contributory negligence for the consequences of a brain injury sustained in a motorcycle accident. Marcus Grant (instructed by Nigel Mills of New Law Solicitors) appeared for the Claimant. Garnham J finds one count of contempt proved and two counts not proved. Marcus Grant (instructed by Laura Sales of Keoghs LLP) appeared for Aviva Insurance in committal proceedings in the Queen’s Bench Division for contempt of court in respect of signing a statement of truth on one or more documents in County Court proceedings that Aviva asserted the Respondent knew to be untrue. Fraud established and exemplary damages recovered. Marcus Grant (instructed by Hamida Khatun of Keoghs LLP) appeared for Direct Line Insurance to resist three injury claims arising from an alleged road accident that generated 11 intimated injury claims from occupants in three vehicles. 31 year old Trainee Chef recovered £3,650,000 for the consequences of a spinal injury sustained in a cycling accident. Marcus Grant (instructed by Iona Smith of Gaby Hardwicke) appeared for the Claimant. 49 year old Conductor recovered £200,000 for the consequences of a whiplash injury that developed after a road accident. Marcus Grant (instructed by Darren Wilson of Irwin Mitchell) appeared for the Claimant. 24 year old Construction Labourer recovered £300,000 for the consequences of a fractured toe and compartment syndrome in a workplace accident. Marcus Grant (instructed by Tracey Bennett of Slater & Gordon) appeared for the Claimant. 32 year old Solicitor recovered £527,000 gross for the consequences of chronic pain disorder that developed after a road accident. Marcus Grant (instructed by Ardip Khalon of Irwin Mitchell) appeared for the Claimant. 30 year old Teacher with lupus recovered £200,000 for the consequences of fibromyalgia that developed after a road accident. Marcus Grant (instructed by Christopher Kardahji of Irwin Mitchell) appeared for the Claimant. Appeal based on perversity and insufficient reasons succeeds in slam on fraud case. Marcus Grant (instructed by Hamida Khatun of Keoghs LLP) appeared for the Appellant. 51 year old Mining Engineer recovered £200,000 (gross of contributory negligence) for the consequences of fibromyalgia that developed two years after a workplace accident. Marcus Grant (instructed by Phillip Cohen of Brian Barr Solicitors) appeared for the Claimant. 82 year old retired Ghurka recovered £305,000 for the consequences of developing dementia following a running down accident. Marcus Grant (instructed by Nick Godwin of Slater & Gordon Solicitors) appeared for the Claimant. 48 year old part time Care Worker and Masters Student recovers £145,000 for the consequences of fibromyalgia that developed following a road accident – instructed by Phillip Cohen of Brian Barr Solicitors. 55 year old unemployed lady recovers £385,500 for a Mixed Dissociative Conversion Disorder and vestibular damage suffered in a lift accident – instructed by Daniel Denton of Slater & Gordon Solicitors. Claim by a middle aged man who sustained a severe traumatic brain injury in a running down accident. Marcus Grant (instructed by Gemma Wilkinson of Keoghs LLP) appeared for Direct Line Insurance in a tort of deceit action against 29 Defendants, all of whom had intimated or facilitated claims arising from nine separate fictitious accidents in an attempt to defraud the insurer. Court of Appeal dismissed Claimants appeal against a finding of fraud. Instructed by Ruth Needham of Keoghs LLP. Committal case for contempt of Court before His Honour Judge Wood QC sitting as a Judge of the QBD in Liverpool who found the four Defendants guilty of contempt. Jonathan Watt-Pringle QC and Marcus Grant represented the Claimant in a claim arising out of a low speed bicycle accident. The Claimant, then a 49-year-old Company Director, fell off his bicycle and struck his head on the road. He suffered no PTA but presented with a cluster of subtle neuro-cognitive, neuro-behavioural and neuro-psychological symptoms. A Telsa 3T MRI brain scan was normal, apart from evidence of a small haemosiderin deposit in the tentorium adjacent to the temporal lobe. There was no evidence of any macroscopic diffuse axonal injury to the white matter. He sustained partial shearing of his olfactory bulb and presented with very subtle patterns on neuro-psychological testing. What appeared to be a minor impact in a road traffic accident had been sufficient to cause the claimant subtle brain injuries resulting in impaired cognitive function. The evidence of the defendant’s expert witness that she had exaggerated her symptoms was discredited and the claimant’s evidence about the nature and extent of her symptoms was accepted. Welcome to the inaugural edition of TGC Fraud Update, a new publication from the fraud team at Temple Garden Chambers containing a number of articles on legal matters relevant to insurance fraud practitioners and a digest of recent noteworthy cases in which Members of Chambers have been involved. Marcus Grant, Emma Northey and Elizabeth Gallagher spoke on different subjects at the Annual PIBA Conference. Marcus Grant represented the Claimant who was left with enduring dysexecutive symptoms. Marcus Grant represented the Claimant, a 50-year-old sales manager who sustained thoracolumbar and wrist fractures and PTSD in a high energy head-on road accident, and compromised her claim for damages in the sum of £1m. Marcus Grant represented the Claimant, a 47-year-old senior manager who sustained a soft tissue neck injury when she was knocked from her bicycle by a van, compromised her claim for damages in the sum of £675,000. Marcus Grant represented the Claimant, a 44-year-old café proprietor who sustained a mild traumatic brain injury and developed chronic neuropathic pain and headaches in a high energy car accident, compromised his claim for damages in the sum of £250,000. Marcus Grant represented the Claimant, a 31-year-old highway worker, who recovered £643,000 in respect of a brachial plexus injury to his non-dominant arm sustained in a motorcycle accident where liability was contested. Marcus Grant represented the Claimant, a 61-year-old construction worker who sustained a head injury in a workplace accident following which he developed epilepsy. He managed to continue working, albeit in difficulty and with a colleague covering for him for two years after the initial accident when he injured his head again whilst having a seizure. His employment was terminated 18 months after that second incident and he developed depressed mood following the loss of his job and financial security and suffered further seizures and some suicidal ideation. Marcus Grant represented the Claimant, a 50-year-old factory worker who sustained a head injury in a workplace accident when he stood up whilst standing on a table and struck his head on a metal hook attached to a crane overhead. Marcus Grant appeared for the Claimant, a 51-year-old unemployed lady who sustained serious injuries to her right leg in a scooter accident. She underwent multiple operations on her leg, knee and ankle following which her mobility was severely restricted. Marcus Grant represented the Claimant, a 41-year-old nurse in respect of a centrally sensitized chronic pain condition that developed following a low speed rear end shunting road accident causing soft tissue injury. Marcus Grant represented the Claimant, a 59-year-old self-employed taxi driver who recovered £500,000 in respect of an ankle injury that progressed into CRPS following a tripping accident. Marcus Grant represented the Claimant, a 55-year-old benefits assistant who recovered £400,000 net of CRU and interims in respect of a centrally sensitized chronic pain condition (diagnosed as ‘fibromyalgia’) that developed following a rear end shunting road accident causing soft tissue injury. Marcus Grant represented the Claimant, a 54-year-old ex-head teacher who settled his stress at work claim for a six-figure sum on the eve of trial, 6 years after his employment was terminated. Marcus Grant, instructed by Christopher Dickinson of Dickinson Solicitors Limited, appeared for the Appellant. Marcus Grant, instructed by Phillip Cohen of Brian Barr Solicitors, appeared for the Claimant, a 41-year-old trainee doctor who sustained soft tissue whiplash injuries in a rear end shunting road accident, which on his case then progressed into a chronic widespread pain condition diagnosed by his experts as fibromyalgia. He was able to continue working, despite his symptoms, but was forced to reduce his hours, which put back the date of his qualification as a doctor. Marcus Grant, instructed by Phillip Cohen of Brian Barr Solicitors, appeared for the claimant, a 36-year-old property developer who sustained a significant crush injury to his non-dominant hand when an anti roll bar on an excavator hired by his sub-contractor from a hire company rotated 180 degrees unexpectedly. Marcus Grant, instructed by Chris Kardahji of Irwin Mitchell LLP, represented a 52-year-old pilot who sustained a whiplash associated disorder and psychological injuries in a head on car accident in which the other driver died. Marcus Grant, instructed by Tristan Hallam of Penningtons Manches LLP, appeared for the Claimant, a Police Officer who sustained soft tissue injuries that progressed into a chronic widespread pain condition (fibromyalgia) after the Defendant drove into head on collision with her parked Police BMW on a fast, unlit country road at night. Mr Justice Martin Spencer approves £1.35m lump sum settlement in a brain injury case. Marcus Grant appeared for the Claimant. Marcus Grant appeared for UK Insurance in bringing tort of deceit and committal proceedings arising out of a staged car crash that went to the Court of Appeal. TGC are delighted to announce that Marcus Grant has been shortlisted as The Legal 500 Personal Injury & Clinical Negligence Junior of the Year 2018. The winners in all categories will be announced next week. Marcus Grant, instructed by Tom Ranson of Ashton’s Legal represented a 38 year old claimant who sustained injuries in a rear end shunting car accident. Marcus Grant, instructed by Alex Cohen of Brian Barr Solicitors represented a 42 year old claimant who sustained injuries in a rear end shunting car accident. Marcus Grant, instructed by Peregrine Redgrave of Stewarts LLP, represented a 28 year old Barrista Trainer who sustained multiple injuries in a car that overturned and struck a tree. Marcus Grant, instructed by Tracey Benson of Slater & Gordon represented a 36 year old Police Sergeant who sustained injury when she was dragged by a car driven by a suspect attempting to evade arrest. Marcus Grant, instructed by Christopher Dickinson of Dickinson Solicitors represented a 54 year old builder who sustained head injuries in a falling accident on a set of steps. Marcus Grant (instructed by Phillip Cohen of Brain Barr Solicitors) appeared for the Claimant. Marcus Grant (instructed by Mark Ellis of CFG Law) appeared for the Claimant. Marcus Grant instructed by Marsha Crossland of DWF LLP, represented Liverpool Victoria Insurance who applied to commit to prison for contempt off Court nine members of the Turkish community in North London who brought injury claims arising from three alleged accidents. Fraser J approves combined PPO and lump sum settlement following the introduction of the new discount rate in a case involving the MIB. Widow recovers £150,000 from a landowner in respect of the death of her husband killed by a falling branch from one of his trees. Marcus Grant instructed by Nick Godwin of Slater & Gordon, represented a 68-year-old widow whose 64 year old husband died when a branch from an oak tree struck his passing car on an A road in Berkshire. 44 year old IT Project Manager recovered £700,000 for the consequences of developing fibromyalgia . Marcus Grant (instructed by Alex Cohen of Brian Barr Solicitors) appeared for the Claimant. In September 2012 the Claimant, then a Sergeant in the Police Service, on his case sustained a closed head injury with suspected diffuse axonal injury and some bony injuries in a motorcycle accident when the Defendant began to turn across his path, changed his mind and stopped blocking part of the carriageway. The Defendant alleged contributory negligence against the Claimant for riding at 13.5 mph above the 50 mph speed limit, and for capsizing his motorcycle whilst braking. 31 year old Trainee Chef recovered £3,650,000 for the consequences of a spinal injury sustained in a cycling accident. Marcus Grant (instructed by Iona Smith of Gaby Hardwicke) appeared for the Claimant. In April 2015 the Claimant sustained unstable fractures of the T12, L2 and L4 vertebrae causing a complete thoracic spinal cord injury. He spent much of the first year post accident in a spinal unit undergoing repeated surgeries to enable him to sit upright in a wheelchair. Marcus Grant (instructed by Laura Sales of Keoghs LLP) appeared for Aviva Insurance in committal proceedings in the Queen’s Bench Division for contempt of court in respect of signing a statement of truth on one or more documents in County Court proceedings that Aviva asserted the Respondent knew to be untrue. Marcus Grant (instructed by Hamida Khatun of Keoghs LLP) appeared for Direct Line Insurance to resist three injury claims arising from an alleged road accident that generated 11 intimated injury claims from occupants in three vehicles. With 36 rankings over 9 practice areas members of TGC receive the deserved accolade from the legal directory following market research. A 24 year old Construction Labourer recovered £300,000 for the consequences of a fractured toe and compartment syndrome in a workplace accident. Marcus Grant (instructed by Tracey Bennett of Slater & Gordon) appeared for the Claimant. In February 2011 the Claimant sustained a soft tissue ‘whiplash’ injury to her cervical and lumbar spine in a moderate energy rear end shunting road accident. Marcus Grant (instructed by Ardip Khalon of Irwin Mitchell) appeared for the Claimant. 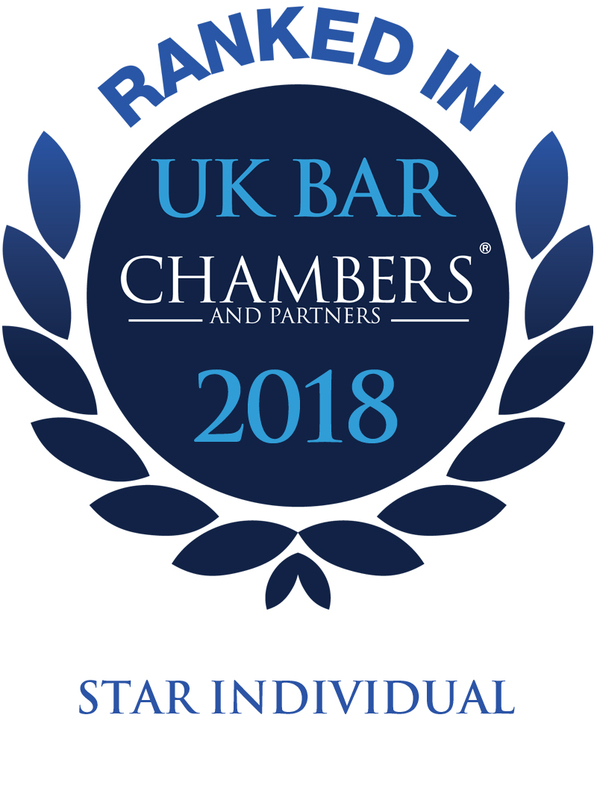 TGC are delighted to announce that Marcus Grant has been shortlisted for the Junior of the Year award for Personal Injury/Clinical Negligence at the forthcoming 2016 Chambers UK Bar Awards to be held at at The London Hilton on Park Lane on Thursday, 27th October 2016. Marcus Grant (instructed by Christopher Kardahji of Irwin Mitchell) appeared for the Claimant. Marcus Grant (instructed by Hamida Khatun of Keoghs LLP) appeared for the Appellant. Marcus Grant (instructed by Phillip Cohen of Brian Barr Solicitors) appeared for the Claimant. Marcus Grant (instructed by Nick Godwin of Slater & Gordon Solicitors) appeared for the Claimant. Marcus Grant (instructed by Daniel Denton of Slater & Gordon Solicitors) appeared for the Claimant. The lift in which she was travelling came off its runners and caused her acute psychiatric shock that damaged her sympathetic nervous system; she presented with symptoms akin to Diffuse Axonal Injury and chronic spinal pain and impaired balance. Marcus Grant (instructed by Hamida Khatun of Keoghs LLP) appeared for UK Insurance in its pursuit of Mr Gentry for dishonesty in the presentation of his claim that culminated in the Court of Appeal refusing to grant relief from sanctions to an insurer who was late in applying to set aside a default judgment on the ground that the judgment was obtained on a claim that was likely to be fraudulent see: Gentry v. Miller & UKI Limited  EWCA Civ 141. Marcus Grant (instructed by Richard Foyster of Ashtons Legal) appeared for the Claimant in an injury claim arising from a crushing injury to his pelvis. Marcus Grant was invited by Jill Greenfield, Partner at Fieldfisher to speak at their annual head injury conference entitled “Hidden in Plain Sight” held at City Hall with c. 200 delegates from across the legal, medical and caring professions. Marcus Grant (instructed by Tom Ranson of Ashtons Legal) appeared for the Claimant. Alex Glassbrook (instructed by Gurbir Thethy of DWF LLP) appeared for the Defendant. The claim involved a middle aged man who sustained a severe traumatic brain injury in a running down accident. The Parties agreed to settle the claim on a combined lump sum and Periodical Payment Order basis with periodical payments being agreed in respect of future claims for loss of earnings, case management and care / support worker provision. Marcus Grant appeared for Amlin Insurance in two injury claims. Marcus Grant appeared for Aviva Insurance in obtaining permission to bring committal proceedings arising out of a car crash. Marcus Grant appeared for Tesco Insurance in two injury claims. Marcus Grant (instructed by Laura Harper of Thompsons) appeared for the Claimant in an action arising from a motorcycle accident. A 42-year-old Account Manager settles his fibromyalgia claim for £494,000. Marcus Grant (instructed by Phillip Cohen of Brian Barr Solicitors) appeared for the Claimant in an action arising out of a car accident. 18-year-old Model settles her subtle head injury claim for £348,000, less 25% contributory negligence. Marcus Grant (instructed by Tom Ranson of Ashton KCJ) appeared for the Claimant in an action arising out of a car accident. Thank you for choosing to instruct me in your case. I will need to collect and hold your personal information in order to represent you. This Privacy Notice describes the information I collect about you, how it is used and shared, and your rights regarding it. I am registered with the Information Commissioner’s Office (ICO) as a Data Controller for the personal data that I hold and process as a barrister. My registered address is Temple Garden Chambers, 1 Harcourt Buildings, Temple EC4Y 9DA and my registration number is Z3066159. All of the information that I hold about you is provided to me or gathered in the course of your case and/or proceedings. Your solicitor and/or I will tell you why we need the information and how we will use it. My Lawful Basis is that the processing is necessary in relation to legal proceedings; for obtaining legal advice; or otherwise for establishing, exercising or defending legal rights and I therefore have a Legitimate Interest in processing your data. Respond to any legitimate requests from my regulatory body (the Bar Standards Board). Assist in training of Chambers’ pupils and mini-pupils. You may request access to, correction of, or a copy of your information by contacting me at my Chambers at the address given above. I will occasionally update my Privacy Notice. When I make significant changes, I will notify you of these through either mail or by publishing the updated Notice on my website profile.